Víbora is a home brewery from Rio de Janeiro. 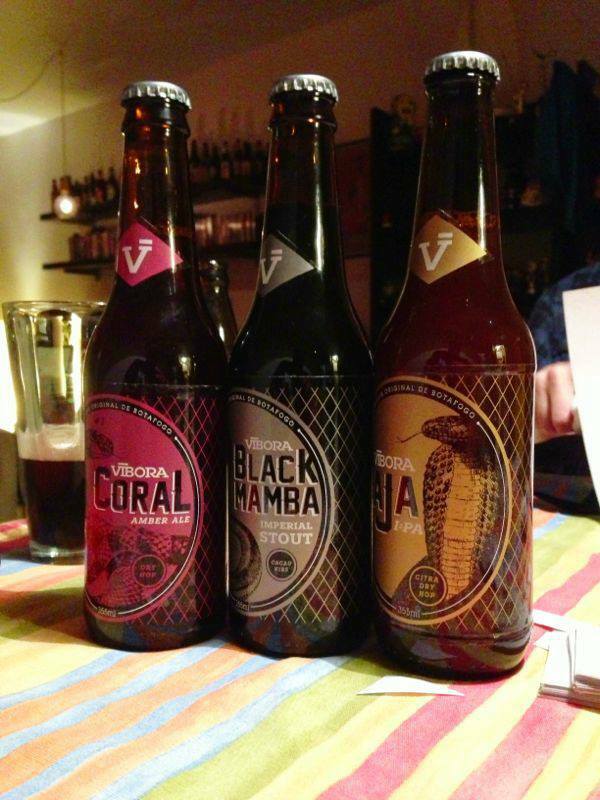 Víbora means Viper and every beer they make has a name of a snake. The snake is an animal that represents sin. In the bible, the snake brought Eve the forbidden apple that represented the pleasures and sins. Víbora's snake brings you the forbidden hop flower. The hop is the ingredient that gives flavour and perfume to beer. Is what makes it irresistible. the first goal for this project was creating the brewery logo. They needed a logo simple enough, for every occasion. It couldn't clash visually with each beer's logo. It had to be something clean and versatile. They also needed something even smaller. A symbol to feel the brand at a glance. Each beer is gonna be named after a snake and the naming is done mainly by their color. The brewery color gets out of scene and snake styles and names take place. Since the labels were going to be carefully silk-screened, the texture of the bottle was an issue and the grid solved it perfectly. Cheers!!! The beers were amazing! !